I was at the local mom and pop used video game/CD shop. I was about 10, at the time. When you first enter the place, there’s a huge desk to the left. Over to the right and slightly behind the desk is where they kept -- and still keep -- their Gameboy games. I remember peering up onto the shelves, hidden behind the glass as they were. There sat Megaman Xtreme 1 and 2. I’d played some Megaman games with my older cousin, so I wanted one, too. I preferred Megaman Xtreme 1 because I didn’t want to miss out on some essential story content. (Obviously, I was not very familiar with Megaman.) But it cost $9.99 and I didn't have that much. Megaman Xtreme 2, however, cost $8.99. I had that much; so that’s what I bought. That was probably about 13 years ago. 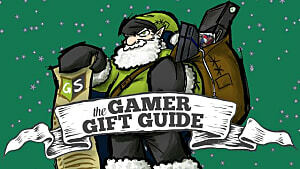 It was one of the first times that I ever used my own money to buy a game. Ever since then, I’ve loved the Megaman series, including the spin-offs. Sadly, my nephews -- 7 and 5-- will have no such modern experience with the series as it has been left largely dormant since before they were born. This needs to change. 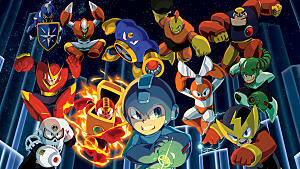 The last new title for the franchise was Megaman 10, which was released in 2010 for the PS3, Xbox 360, and Wii. 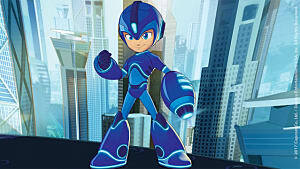 In my article,"What Even is Capcom's Motive Behind the New Megaman Cartoon?" -- which goes over the absurdity of making a Megaman cartoon for a long dormant series -- I go into greater detail concerning the series’ recent history. TL;DR: Ever since series creator Keiji Inafune left Capcom in 2011, there have only been canceled Megaman games. In that article, I made the case that there shouldn’t be a Megaman show if there are no recent Megaman games. I then used this as reasoning for Capcom to make more games. If they are willing to go out of their way to make a show based off of it, then what is their reasoning for not making games? While my argument here might be different at its core, the end goal is the same: I want Capcom to make more Megaman games. Should They Really Make A New Megaman? 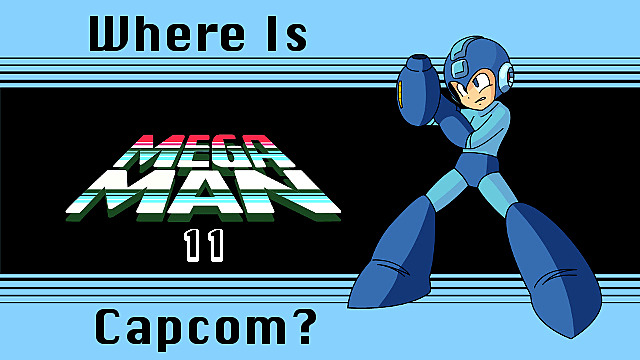 a little about a potential Megaman 11. Looking over sales data made available by Capcom, it is safe to say that Megaman has never moved units like a powerhouse; not really. The highest selling unit in the series, Megaman 2, has allegedly sold only 1.5 million copies. That’s not bad, per se, but it isn't an insane amount, either. Especially for a game that is talked about in the same breath as the all-time greats. But again, according to Capcom’s website, the series as a whole has had 134 titles selling 31 million units. It should be noted that it is unclear exactly how they count these titles. For instance, Dragon’s Dogma is said to have 10 titles in the series, when there is only Dragon’s Dogma and Dragon’s Dogma: Dark Arisen, an expansion to the base game. 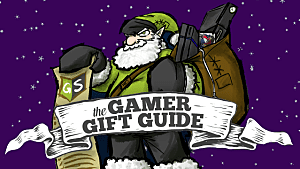 Luckily, Shacknews posted the numbers circa 2008. Over the course of roughly 9 years -- May 2008, when Shacknews posted the numbers, and May 2017, when I gathered the numbers from Capcom -- the Megaman series has sold about 3 million units. Remember, however, that is with the series being largely dormant for seven of those nine years. There is the case, as presented by some, that Megaman’s sales numbers were never all that great anyhow, which is why the series has been on the shelf for so long. But I think this is misleading. Sure, Megaman doesn’t sell like Call of Duty, but it also doesn’t cost nearly as much to make as Call of Duty. There is a sizeable market for platformers. As long as your budget is not inflated, then there is room for profit. 2D platformers might not have the same market as more lucrative genres, like RPGs and FPSs, but that doesn’t mean they can’t still be profitable, especially in today's gaming climate. I think you can see something similar to this predicament represented in Square Enix’s treatment of traditional turn-based JRPGs in recent years. While Square and Enix -- the companies that merged to form what we know as Square Enix today -- both made their names on the backs of classic JRPG series like Final Fantasy and Dragon Warrior/Quest respectively, they had begun to turn away from these types of games in the late 2000's and early 2010's. Fans and journalists alike had to push and petition Square Enix to localize Bravely Default for the 3DS. And when they finally did? The game sold really well. Much better than Square Enix expected. In fact, prior to this, Operation Rainfall was started to show Nintendo fan interest in having JRPGs ported stateside; particularly, Xenoblade Chronicles, The Last Story, and Pandora's Tower. This operation consisted of sending letters, emails, and social media posts to Nintendo. 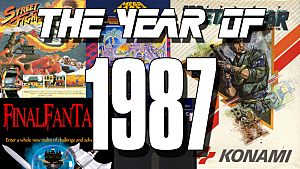 Eventually, all three games were ported to America with varying degrees of success. Xenoblade Chronicles has been the most successful, spawning a couple of sequels and a re-release on the New 3DS. For me, the lesson to take away from this is that publishers can, and do, misunderstand fan interest in a game or series. 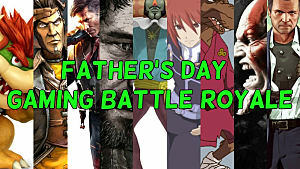 Does Capcom Hate Middle Tier Titles? Based off of this, I was going to make the argument that Capcom was unwilling to release middle-tier titles. That is to say that they were not willing to support anything that is not AAA. Then I realized that Ace Attorney has continually been supported throughout that same period; thus, disproving my theory altogether. The Ace Attorney series has sold roughly 3.6 million units over the same period of time -- 2008 to now -- with seven games. Despite more support, it has not sold much more than Megaman’s 3 million units. 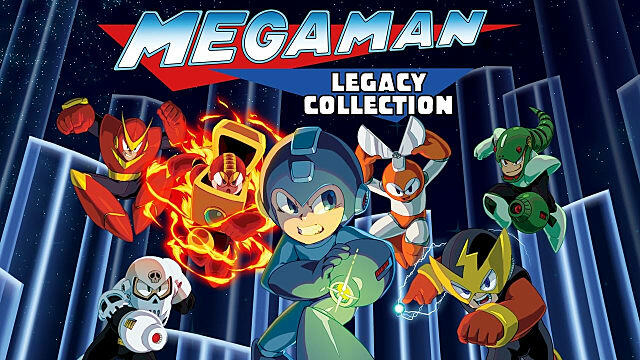 For reference, there have only been 3 new Megaman games released since 2008: Megaman 9 (2008), two versions of Megaman Starforce 3 (2008), and Megaman 10 (2010), along with a couple of collections, Megaman Zero Collection (2010) and Megaman Legacy Collection (2015). 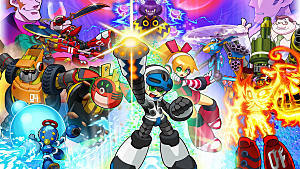 While that is five to seven in the same period of time, it is also notable that Megaman has only had one release since 2011-- the year Inafune left. But the fact of the matter is that after nearly a decade of being left mostly untouched, Megaman has still stayed relevant. Capcom seems to have enough faith in him to be able to push forward with a new cartoon series. 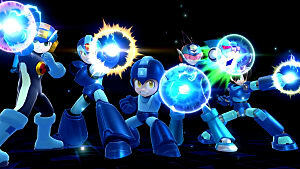 So I beg you Capcom, put your money where your mouth is and give us more Megaman. And if you really want to prove your support for both the old and new iterations of Megaman, then go ahead and give us Megaman 11. What Even is Capcom's Motive Behind the New Mega Man Cartoon?